I had to make 22 of these for an ornament exchange thing I am doing with some ladies from my church, so even though I probably could have made something more detailed and "Blue-Eyed Freckle-ish", I decided to go with the pillows because you get to use fun colors and patterns, and its easy to make 22 of the same thing relatively fast. 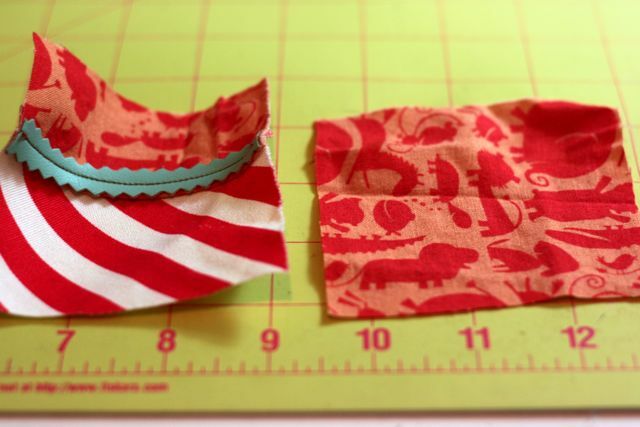 1. decide what overall size square you want, and then add 1/4" to all sides (i.e. if you want a 3" square, then it would end up being 3.5x 3.5). 5. Trim down ONE of the sides (pick which pattern you want less of), so that the square becomes the right dimensions again (like 3.5x 3.5). 6. 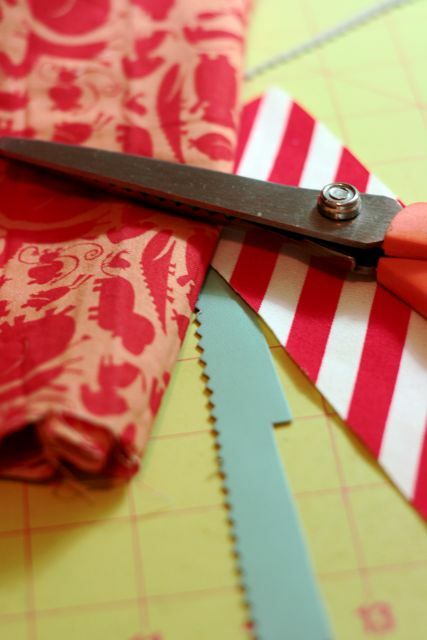 Sew your trim/leather etc.. down on top of the seam. 7. 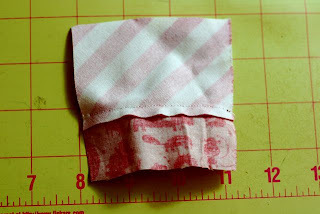 Cut another piece of fabric out as the back (same dimensions). 7. Get your trim read, and make sure its a big enough loop to go over a needle-y branch. 8. Make a sandwich, putting the trim loop in one of the corners. PIN DOWN. 9. 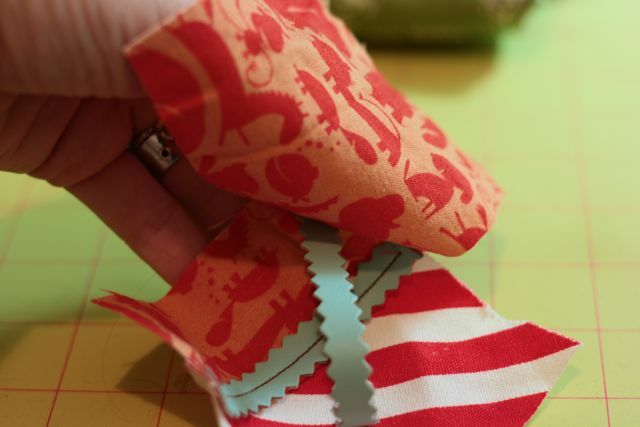 Sew around all sides, leaving a small space on one of the sides. 10. Turn right side out and stuff it. 11. 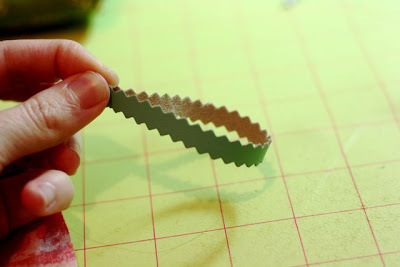 Hot glue or hand sew the opening shut. I love mine, and now I think I should make a large version for my bed! Wait!! I have a GREAT gift idea! Make this SAME PILLOW in a LARGE (life) size and an ORNAMENT SIZE as a gift for someone!!! PERFECT! This is super cute! 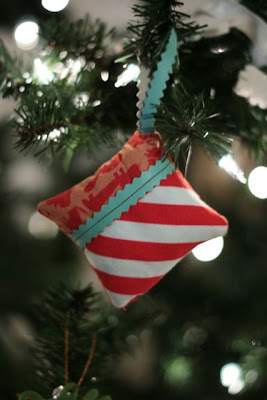 I have no ornaments for my tree and am wanting to make some, great idea! You could have placed potpouri inside and made it into a sachet.